That paragraph opens a devastating eight-part series published this month by The Times-Picayune of New Orleans about how the state’s largely private prison system profits from high incarceration rates and tough sentencing, and how many with the power to curtail the system actually have a financial incentive to perpetuate it. The picture that emerges is one of convicts as chattel and a legal system essentially based on human commodification. • One in 86 Louisiana adults is in the prison system, which is nearly double the national average. 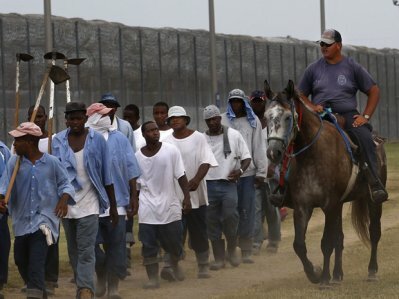 • More than 50 percent of Louisiana’s inmates are in local prisons, which is more than any other state. The next highest state is Kentucky at 33 percent. The national average is 5 percent. • Louisiana leads the nation in the percentage of its prisoners serving life without parole. • Louisiana spends less on local inmates than any other state. • Nearly two-thirds of Louisiana’s prisoners are nonviolent offenders. The national average is less than half. In the early 1990s, the state was under a federal court order to reduce overcrowding, but instead of releasing prisoners or loosening sentencing guidelines, the state incentivized the building of private prisons. But, in what the newspaper called “a uniquely Louisiana twist,” most of the prison entrepreneurs were actually rural sheriffs. They saw a way to make a profit and did. It also was a chance to employ local people, especially failed farmers forced into bankruptcy court by a severe drop in the crop prices.